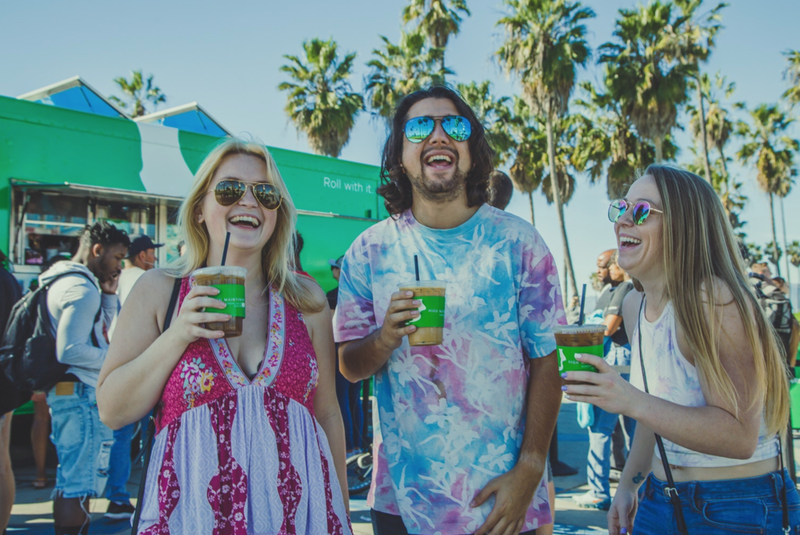 To celebrate the premiere of High Maintenance’s season 3, Grandesign teamed up with HBO to deliver CBD lattes, drip coffee, and cold brew to California beach go-ers and NYC commuters. Located in the heart of Williamsburg, Brooklyn on Friday morning January 18, 2019; as well as the center of the Venice Beach Boardwalk on Saturday morning January 19, 2019, fans encountered brand ambassadors dressed up as the show’s main character, “The Guy,” and were ushered to start their mornings on a high note with courtesy caffeinated cups out of fully wrapped High Maintenance coffee trucks. Star power also fueled the morning commute, show frontrunner and creator, Ben Sinclair showed up in Brooklyn to enjoy a cup, interact with fans, and post a series of Instagram-stories about his experience at the truck, on both his personal account and the show’s official account. 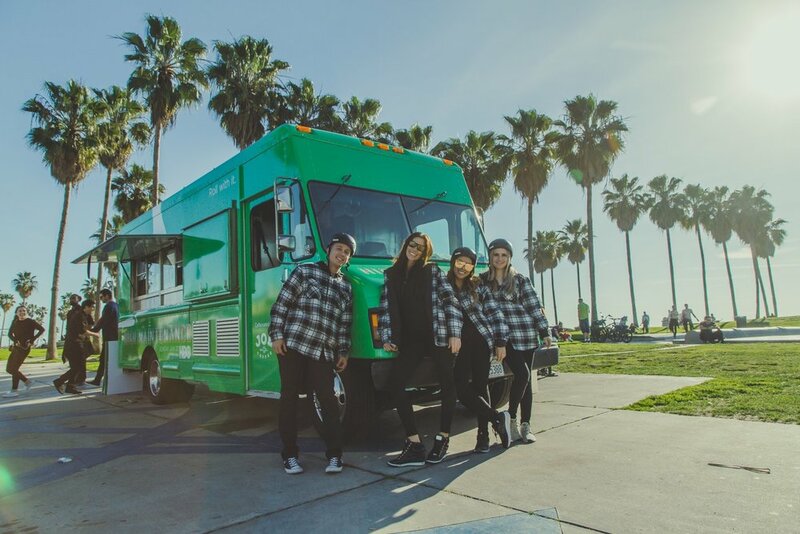 Grandesign worked to execute a partnership with North Hollywood based coffee shop JoeCoffeeLA to supply their signature innocuous CBD powder-infused drip, cold brew, and espresso blends, and knowledge of the coffee market. Between both markets, all 2000 allocated cups were distributed over the two activation days. 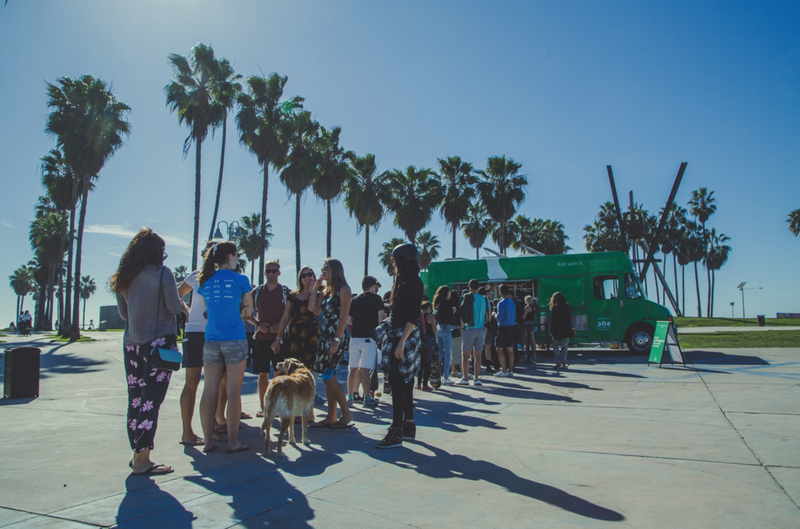 Because of branded cups, napkins and hot sleeves, Grandesign estimated 12,000 person to person impressions were garnered over the two activation days. 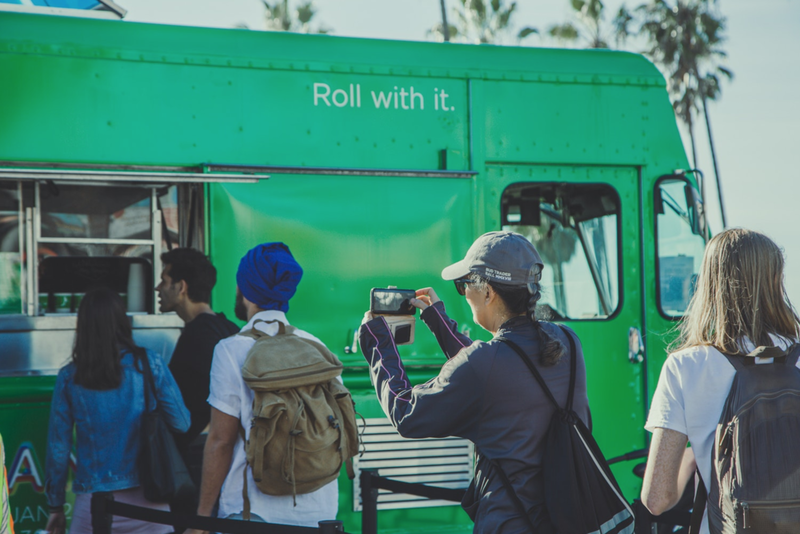 Meanwhile excitement surrounding the truck with show dedicated social media accounts and #HMonHBO garnered another over 100k impressions and just under 10k engagements across Twitter & Instagram, according to HBO’s Digital and Social Media team. This was an activation to roll with.